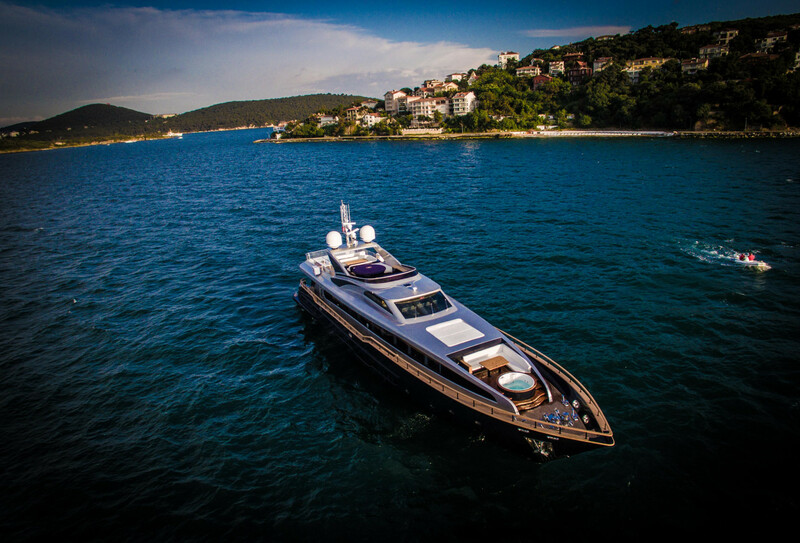 M/Y Harun 37m, offers five luxurious guest cabins for up to 10 passengers. The master suite is located on the main deck, features a king bed, an en-suite bathroom, a walk-in closet and a private access to the Jacuzzi located at the bow. Her 5 crew will be pleased to welcome you on board and to let you enjoy the Chef's cuisine, who has been trained by atelier Robuchon. You will be impressed by her low 160L/h@12knots consumption. Her two Jacuzzi (one on flybridge & one on the bow), her Zero speed stabilizers and her keel make Harun one of the most interesting and surprising yacht on the market. Should you need to receive any further information on M/Y Harun , please do not hesitate to contact us.